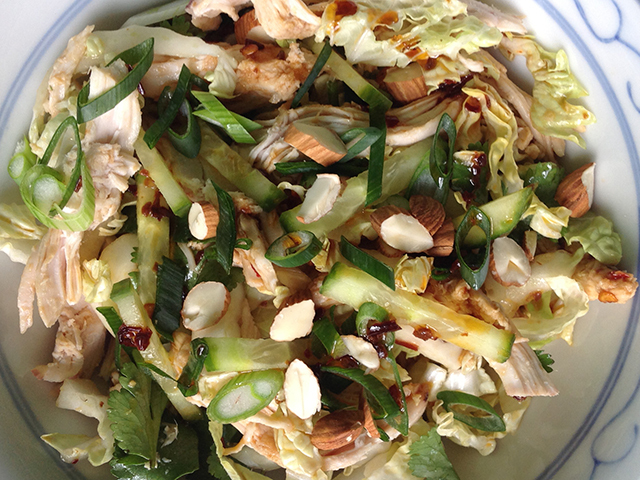 This salad is super crunchy, zesty and flavorful. Add the dressing right before serving so everything stays crisp and fresh. If possible, make the chile oil the day before (or even earlier). This allows the oil to cool down and for it to take on more of the chile flavor. The oil will keep very happily in your refrigerator indefinitely as long as the chile flakes are completely covered in oil. To make the chile oil, heat the oil in a saucepan until it is hot but not simmering. 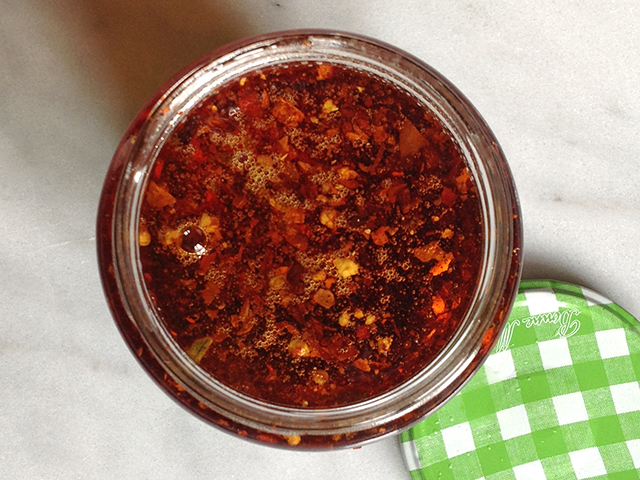 While the oil is warming, place the chile flakes in a clean glass jar (an old jam jar will do). When the oil is hot, remove it from the heat and pour into the jar with the chile flakes. The flakes will sizzle slightly. If the oil is too hot, pour in some room temperature oil to reduce the temperature. Mix all the salad ingredients in a large bowl and set aside. 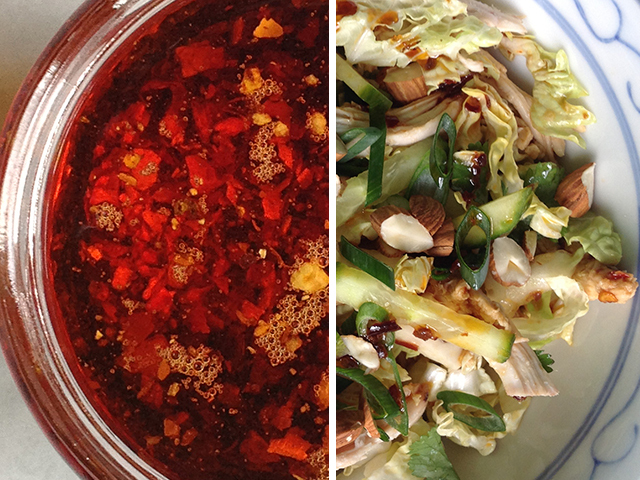 Mix together all the ingredients for the dressing including the chile oil and pour over the salad. 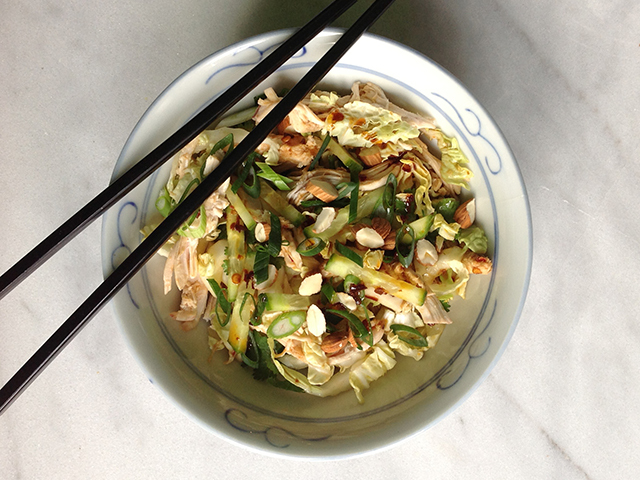 Toss, serve in bowls and garnish with julienned cucumber, sesame seeds and chopped almonds.